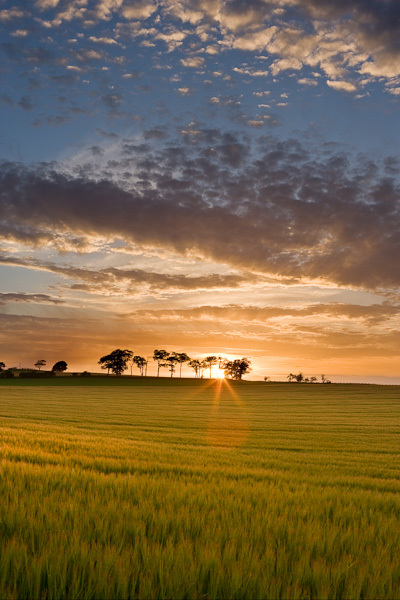 Fife has a mile upon miles of attractive open farm scenery. I was drawn to this sunset image by the parallel lines that run through it. The most obvious linear cloud patterns were repeated in the horizon and in the crop lines. I positioned the sun to set amongst the trees on the horizon The shape of the trees was similar to the clouds and this created a link between earth and sky.